With the summer months approaching and outdoor events and festivals popping up across London, it’s a glorious time to explore the city. Unwind after a long week in the office by wandering up to one of the city’s many rooftop bars, and lounge back with a drink in hand, marveling the view. 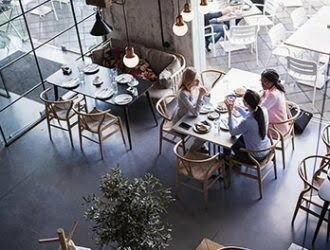 Whether it’s an exclusive party you’re looking for, or a more relaxed evening with friends, there’s an alfresco spot to suits all occasions, from the north of the river to the south. The former Dickins & Jones department store has been transformed, housing the trendy Aqua Spirit restaurant and bar. Entrance to their terrace area is on a first come, first served basis, and it’s no surprise that it fills up quickly. It’s the perfect retreat after a day in the office or wandering the shops – the bartenders use only the finest of ingredients and spirits to mix up your favourite classics (and new ones too). 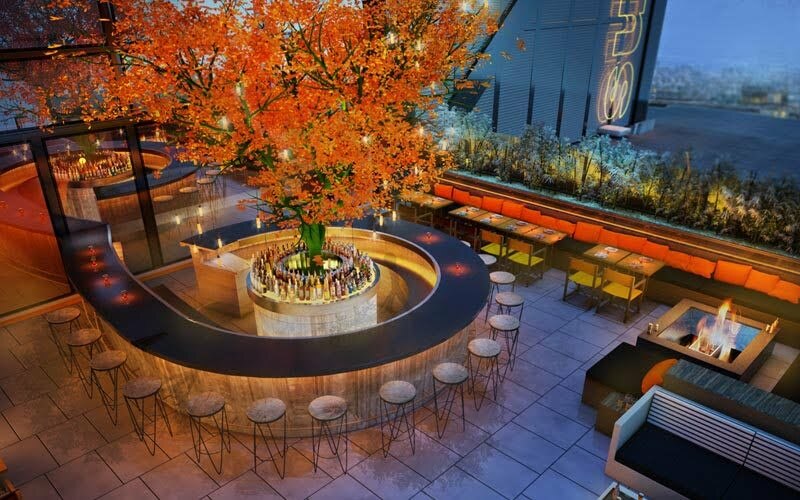 The spot is especially beautiful at night with the glow of Soho and Mayfair rooftops. 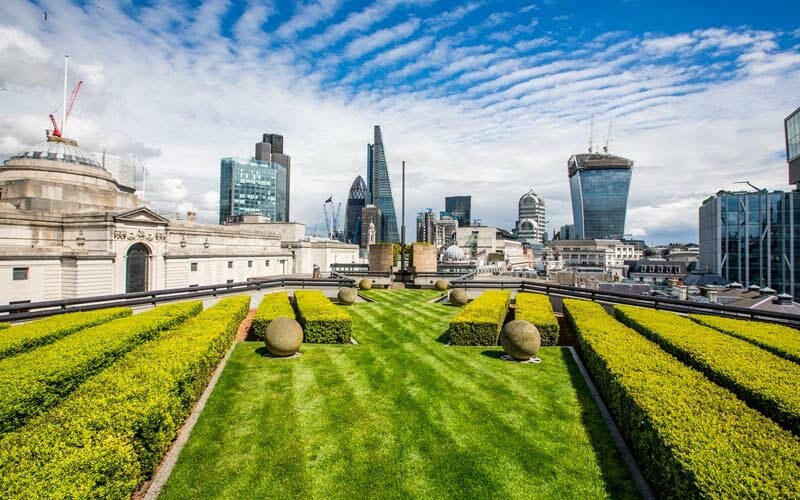 A popular choice for after-work drinks in the centre of the city, Coq D’Argent is a splendidly green garden spot atop the D&D London restaurant. The bar-restaurant emanates French chic, with an eclectic food menu (including gluten-free and vegan options), and a lavish wine list. Wander through the garden and bask in the sun, taking in the views of St Paul’s, the Tower of London and Tower Bridge. 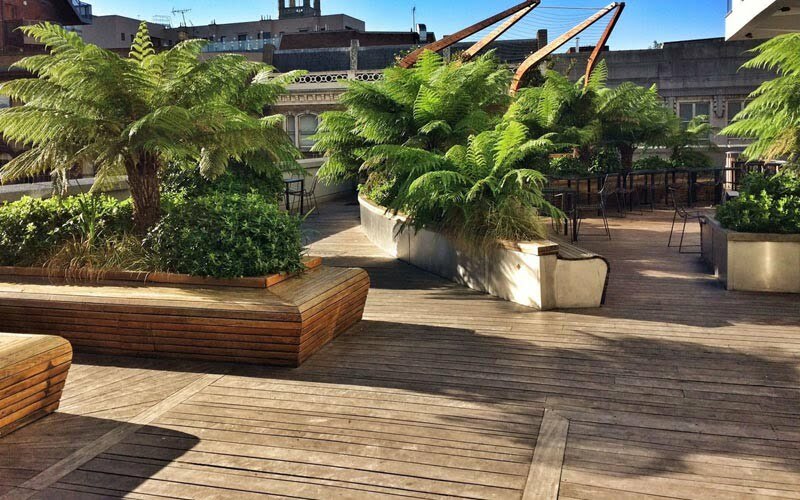 If you’re heading to the theatre, Lyric has its very own rooftop garden bar so you can enjoy a pre- or post-theatre drink. The trendy space doesn’t compromise on foliage and big plants, offering a relaxing haven away from the streets of Hammersmith below. You may find you end up staying here during the whole interval too. Heading to Brixton’s Prince of Wales is the perfect way to kickstart the weekend. 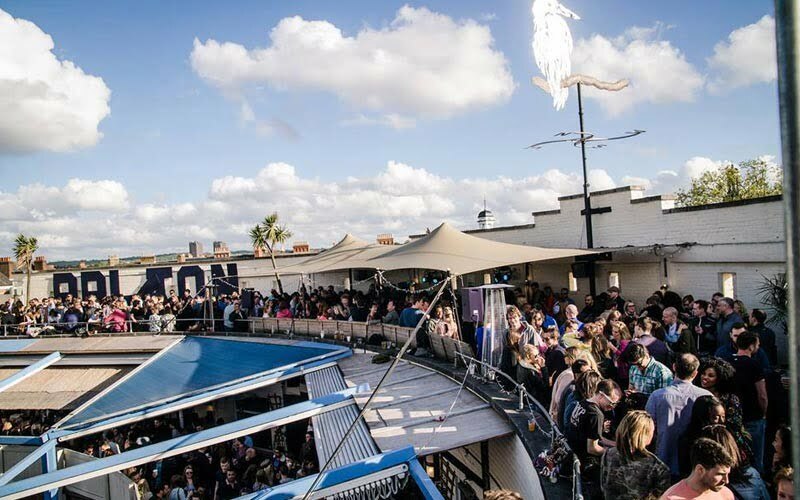 With just the right balance of party atmosphere and socialising, the rooftop terrace is always buzzing with people. Weekdays are more chilled but the bar really thrives come Friday with its weekend DJ sets. If you can’t get to a festival over the summer, this may be your next best choice. 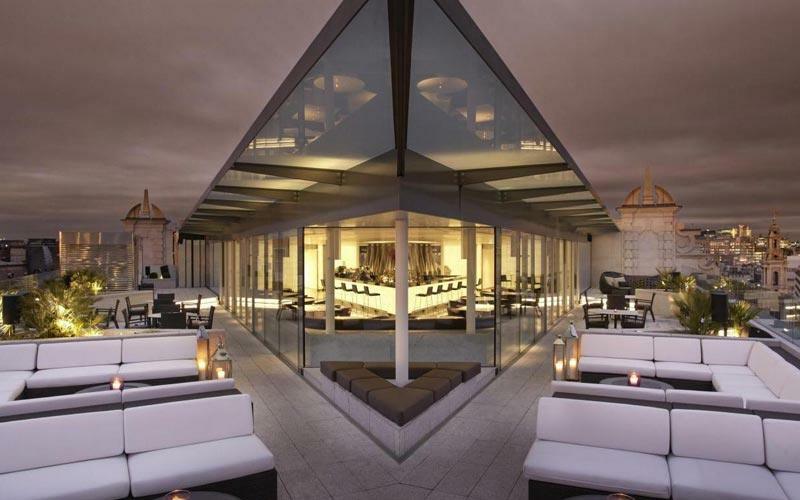 Located ten floors up at the ME London hotel, Radio Rooftop Bar has an effortlessly stylish aura that’s a nod to the clubbing scene of Ibiza. 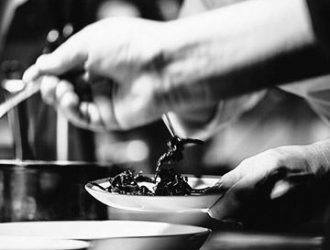 Enjoy a selection of classic tapas dishes, each of which comes with a twist (such as black olive and bitter chocolate tapenade), and toast to the evening with one of their speciality gin and tonics. 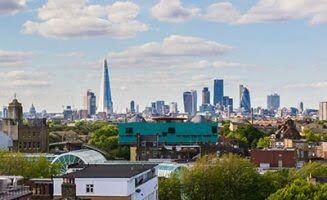 If it wasn’t for the stunning panoramic views across the city, you might just forget you’re in London. 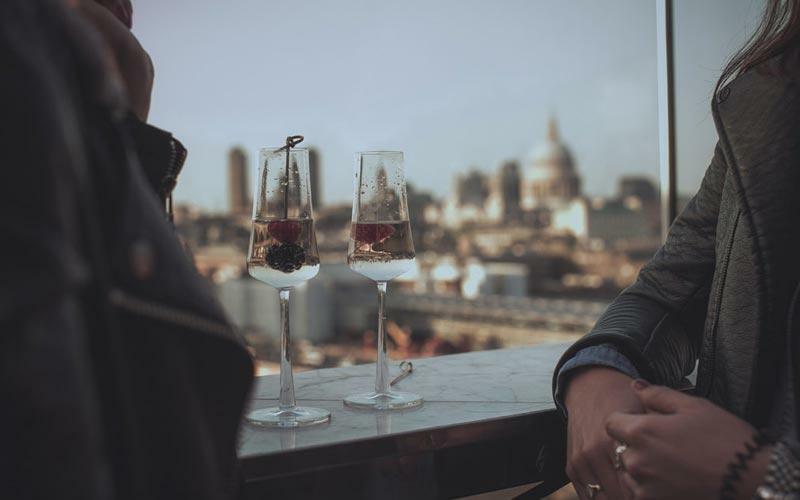 Although it may be small in size, the outdoor area of Rumpus Room more than makes up for that with its panoramic views over the London skyline and its delicious drinks menu. Due to its Southbank location, the bar is an idyllic spot to look out across the Thames and escape the everyday bustle of the streets below. The Heron Tower in Bishopsgate may not look the most stylish of skyscrapers, but nestled thirty-nine stories up is the terrace bar for SUSHISAMBA – a Japanese, Brazilian, Peruvian fusion bar. The glamorous decor and glorious views over London make the restaurant-bar a popular choice around the clock. With an impressive cocktail list crafted by star bartender Richard Woods, you can experience creative flavour combinations that perfectly complement the cuisine. This chilled pub is the number-one choice for locals and people working in the area alike, due to its expansive collection of beers on tap and its menu of no-nonsense pub food. But it’s the upstairs terrace that makes it particularly special. 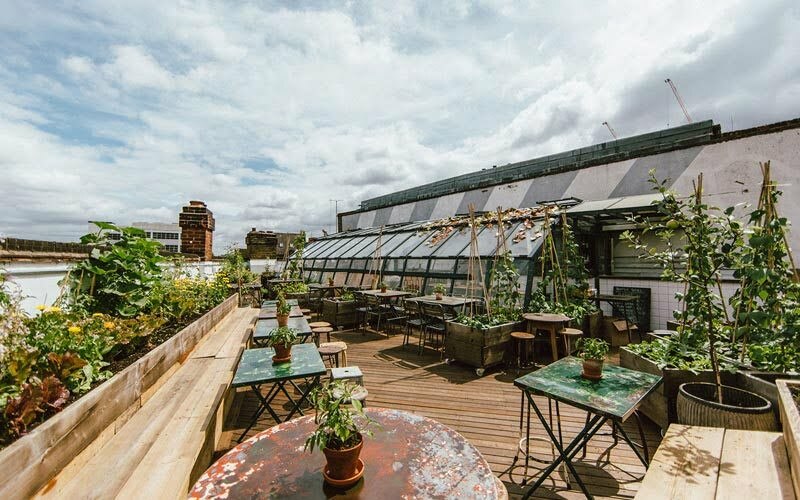 Venture to the top of the Victorian building to find a greenhouse and garden dining area, complete with a well-stocked bar and wood-fired grill. Since it’s named after Nicholas Culpeper, a 17th-century herbalist, you can expect plenty of plant-based cocktail concoctions at The Culpeper. The rooftop also hosts a number of events throughout the year, including astronomy classes and gardening workshops. There’s no better way to experience the heart of London from above than at Vista. 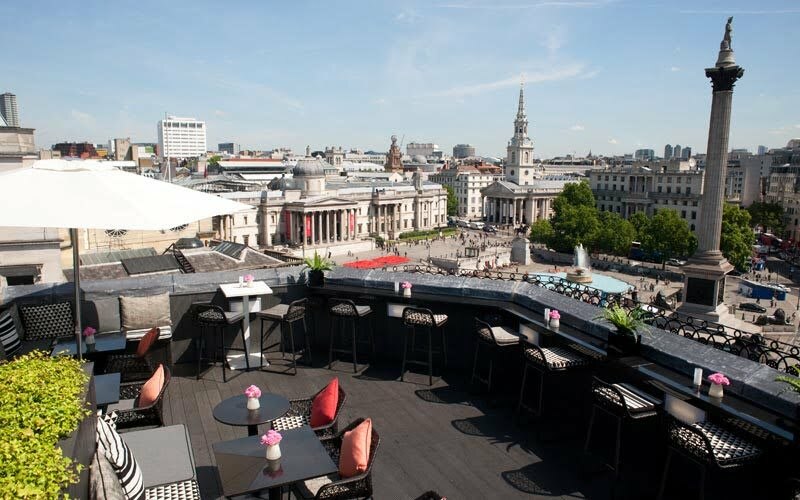 At the top of Trafalgar Hotel, the rooftop bar overlooks the bustling Trafalgar Square, with views right from the Horse Guards Parade to the National Gallery. Famed for its quintessential Britishness, the bar serves plenty of Pimm’s cocktails and speciality G&Ts, with a dash of everyone’s favourite summer berries. 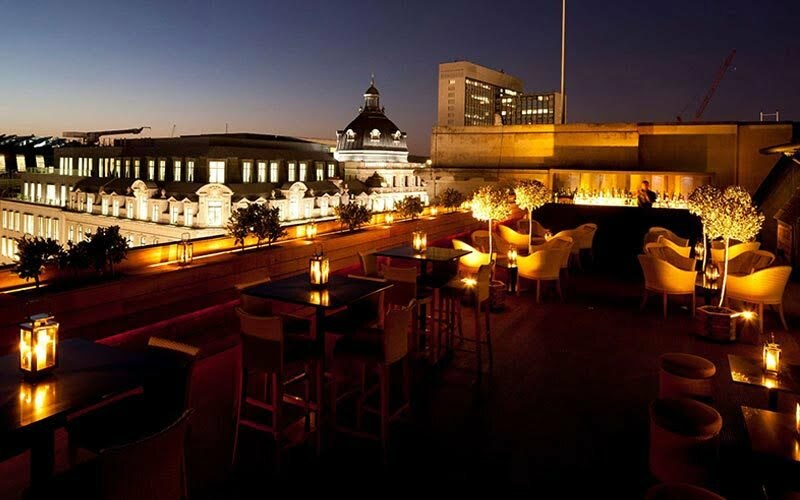 The capital boasts so many rooftop bars to enjoy. From relaxing with friends in the sunshine to partying under the stars, the city comes alive from above. 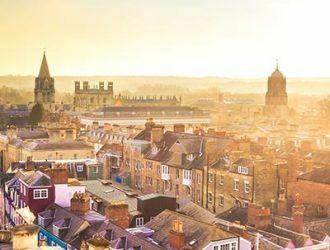 Looking for more secret spots in the capital? Browse through our blog.